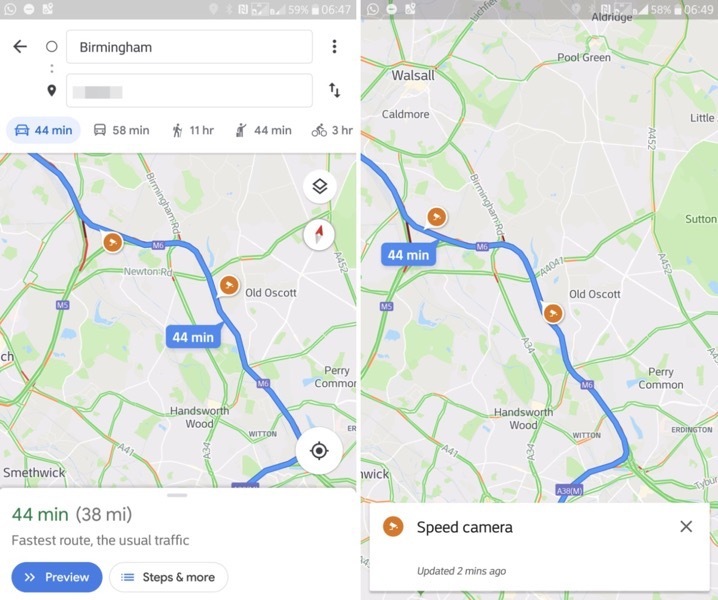 Google Maps for iOS (and Android) is rolling out new speed trap and speed limit features, which will let users see speed traps and speed limits within the app during navigation. Meanwhile, the screenshot below (via Android Police) identifies speed limits as you are navigating to your destination. Sadly, Canada is not part of the speed limit rollout yet. This marks the first time Google Maps is rolling out these features to Canada and the USA, beyond initial test areas in San Francisco, California, and Rio de Janeiro, Brazil. 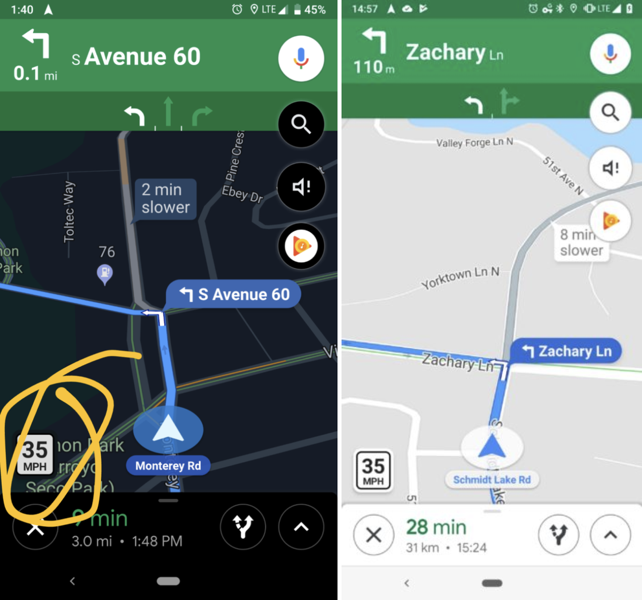 These new speed trap and speed limit features have been staples of Google-owned Waze for some time, and it looks like select Google Maps users will finally be able to benefit from information of the sister app, as these features slowly roll out. 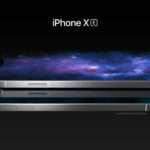 As for speed limits, Apple Maps users gained access to the feature last August. It’s only a matter of time before Google Maps will similarly gain speed limits as well. Let us know if and when you see speed trap notifications within Google Maps for iOS.